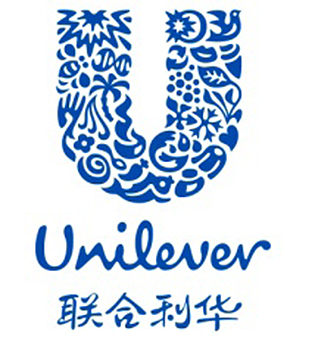 HANGZHOU, China--(BUSINESS WIRE)--Alibaba Group and Unilever China announced today a comprehensive strategic partnership that will enable Unilever to reach customers across China with unprecedented precision and effectiveness through Alibaba Group’s data-driven ecosystem. Key areas of collaboration include rural China penetration, cross-border e-commerce, consumer protection and Big Data. The upcoming Unilever Week on Tmall, scheduled for July 22 to 24, will celebrate the start of this partnership agreement. Unilever is one of the world’s leading suppliers of Food, Home and Personal Care products with sales in over 190 countries and reaching 2 billion consumers on any given day. It has 174,000 employees and generated annual sales of €48.4 billion in 2014. Over half of the company’s footprint is in the faster growing developing and emerging markets (57% in 2014). Their portfolio includes Persil, Dove, Knorr, Domestos, Hellmann’s, Lipton, Wall’s ice cream, Marmite, Magnum and Lynx. Supporting these goals, the company has defined nine commitments, underpinned by targets encompassing social, environmental and economic areas. For more information about the Unilever Sustainable Living Plan, please visit www.unilever.com/sustainable-living/. Unilever was ranked number one in their sector in the 2014 Dow Jones Sustainability Index. In the FTSE4Good Index Series, they attained a top environmental score of 5, leading to inclusion in the FTSE4Good Environmental Leaders Europe 40 Index. In 2014 they led the list of Global Corporate Sustainability Leaders in the GlobeScan/SustainAbility annual survey - for the fourth year running. In 2014 Unilever was named in LinkedIn’s Top 3 most sought-after employers across all sectors and is also LinkedIn’s No. 1 most sought-after FMCG employer worldwide. For more information about Unilever and its brands, please visit www.unilever.com.